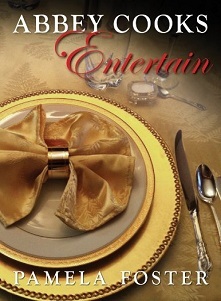 For many of us, there a few indulgent pastimes which live large in time strapped imaginations. The English tradition of gathering for tea, cucumber sandwiches, and sweet scones is right up there on our bucket list, along spa day with the girls. 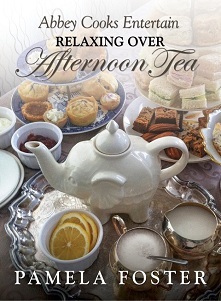 But what do most us non Brits really know about “tea time” and what if we want to try to host one ourselves? 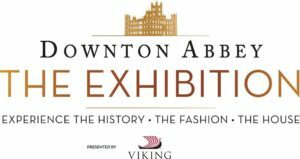 When I started this blog, I wanted to share my love of Downton Abbey, food and history, but wasn’t sure exactly where it would take me. I also wanted to gain a deeper appreciation of my husband’s “blue blood” English heritage. His family tree traces to Devonshire in the 1600s, and with an upcoming family reunion in the UK, I wanted to be well informed and know what to look for when I do search for tea rooms in England. 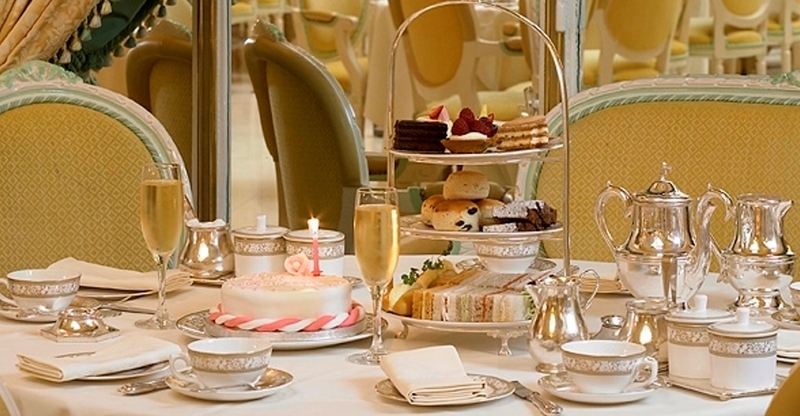 I am still haunted by my dress code violation when I tried to have Afternoon Tea at the Ritz in London years ago. 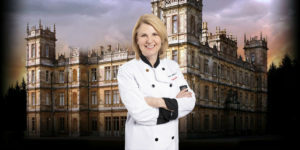 I was inspired by Christine, a young woman from France, who commented on this blog about how she loved Downton, loved to bake (and eat, too, I hope), and wanted to learn more about the traditions. 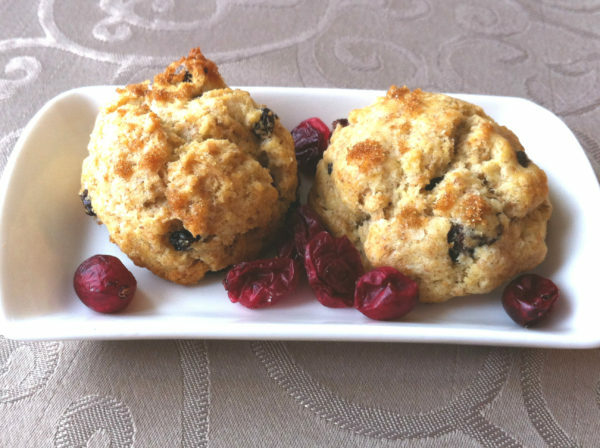 Since there are so many recipes which could be added to the tea tray, I thought it would be interesting to start featuring tea treats on a regular basis. This week will begin with the basics of the tea rituals and provide an easy recipe to try. They are really easy to make and the smaller sizes to help with portion control. In 1662 Catherine of Braganza of Portugal married Charles II and brought with her the preference for tea, which had already become common in Europe. As tea was her temperance drink of choice, it gained social acceptance among the aristocracy as she replaced wine, ale and spirits with tea as the court drink. Seriously! The actual taking of tea in the afternoon developed into a new social event some time in the late 1830’s and early 1840’s. It was Anne, Duchess of Bedford, one of Queen Victoria’s ladies-in-waiting who “invented” the Afternoon Tea. The gap between lunch and supper was widening, so Anne started asking for tea and small cakes to be brought to her private quarters. I am sure she quickly realized that a lot of gossip could be shared if she invited other ladies to her quarters to share her cakes. 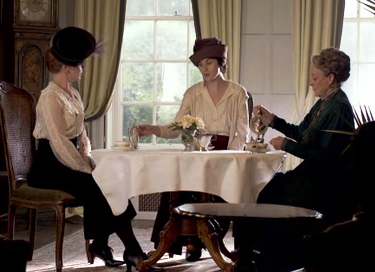 Of course those not invited started their own little gatherings out of spite, and thus the ritual of afternoon tea began. Women do get things done. 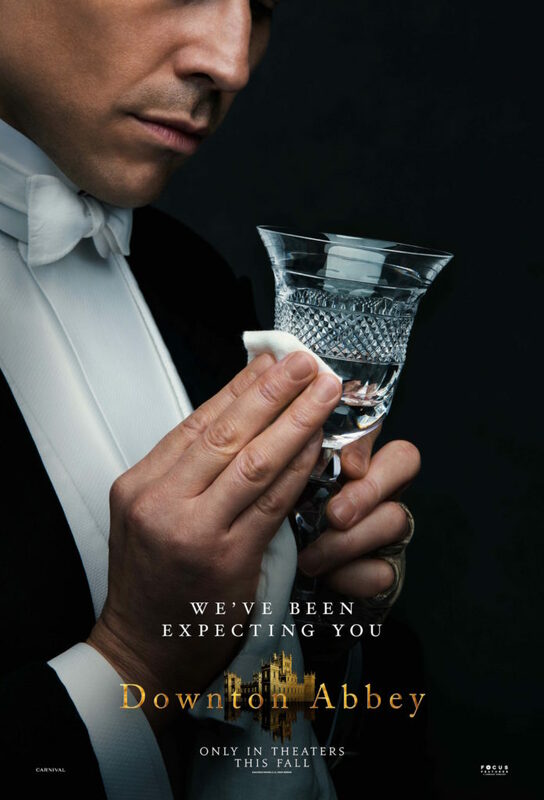 If you are planning a visit to the UK, watch Downton Abbey or other British type serials, it might be helpful to get proper knowledge of the terms used. Cream Tea — A simple tea service consisting of scones, clotted cream, marmalade or lemon curd and tea. Afternoon Tea — What we imagine all British teas to be. 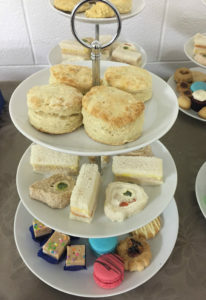 An afternoon meal, served typically from 2 – 4 pm, which includes the tiers of smart little crustless sandwiches, scones, clotted cream, curd, 2-3 sweets and heaps of tea. Low Tea— This still an afternoon tea, but called “low tea” because guests are seated in low armchairs with low side-tables on which to place their cups and saucers. Royale Tea — A social tea served with champagne at the beginning or sherry at the end of the tea. High Tea — It’s not what you think. It is more like the North American dinner hour, so avoid disappointment by booking a “high tea” when you really wanted an afternoon tea. Confusing, I know. You think it means a fancy (scones and sandwiches are fancy, right?). I would watch Corrie Street and wondered about the big fuss about “tea” at the end of the day and I never saw a single scone! High tea consists of meat and potatoes as well as other foods and tea. It was not exclusively a working class meal but was adopted by all social groups. Families with servants often took high tea on Sundays in order to allow the maids and butlers time to go to church and not worry about cooking an evening meal for the family. Top Level: The smaller top level holds the scones. The middle level holds the savories and finger sandwiches. Allow about 5 savory finger size items per person. This would mean mini size savory tarts, finger sandwiches or other savory bites. It is nice to have a variety to three a piece works great. Sandwiches need to be made fresh, but you can start baking items ahead of time and keep stashed in the freezer. I never know when company may come or we are invited anywhere so when I do make sweets, I will put some away in the freezer (helps so I won’t eat them all at once). Saves me every time. Harry Potter fans in your household will recognize these. It was Harry’s favorite tea treat. Essentially they are sweet little biscuits and quite tasty at that. Mix flour and baking powder into a large baking bowl, add the softened butter or margarine, and lightly rub together with fingertips until the mixture resembles breadcrumbs. Add the sugar and the dried fruit and mix so all ingredients are well incorporated. Add the egg and 1 tbsp of the milk and mix to create a stiff dough. If the mixture is still dry add milk a tbsp at a time until required consistency. 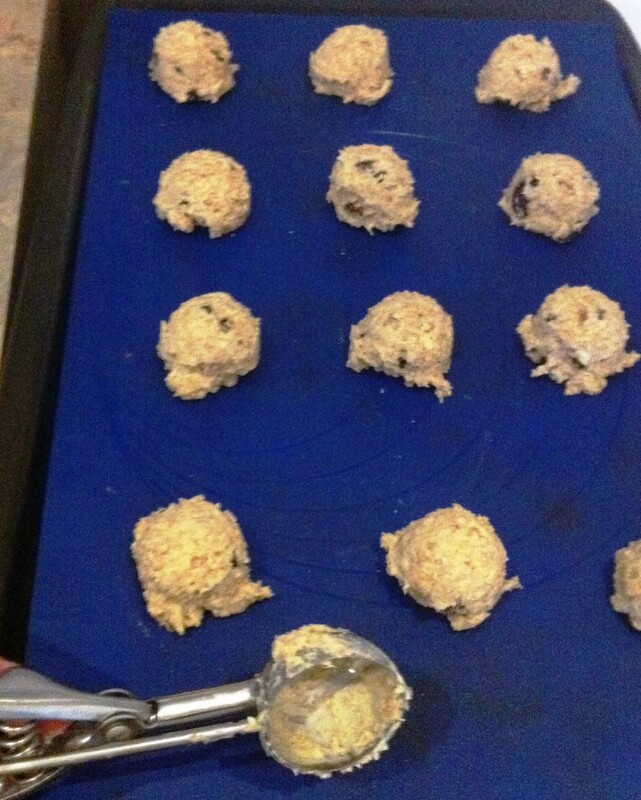 Using a tablespoon divide the mixture into 12 mounds evenly spaced on the 2 baking sheets. If you are an experienced baker you likely already own a small scoop which will make quick work and perfect cakes. Sprinkle with the demerara sugar. Bake in the preheated oven for 15 minutes or until golden brown and well risen. Here is a book you might enjoy. 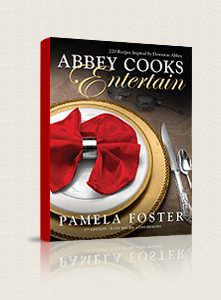 It combines history, great tea shops around the UK, and their lovely recipes. It is my favorite tea book right now.